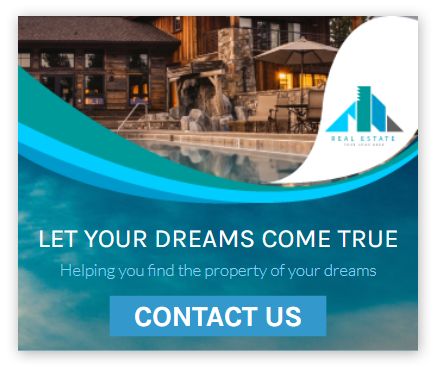 Sell your real estate the easy way. 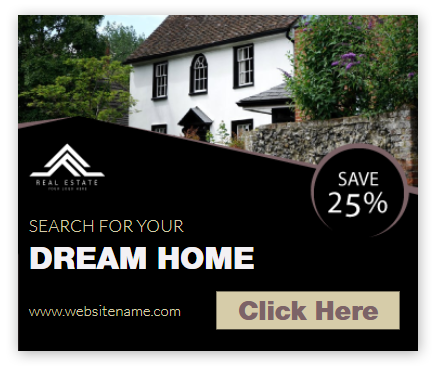 Advertise your real estate with Bouncezap’s easy to customise Property Banner Templates. 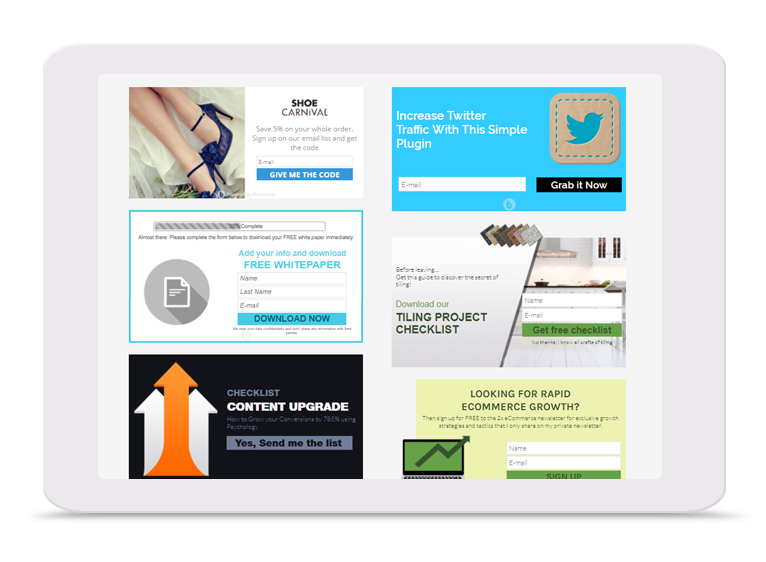 Capture site visitors and grow a list with pop-up banners on schedule. Got short announcements? 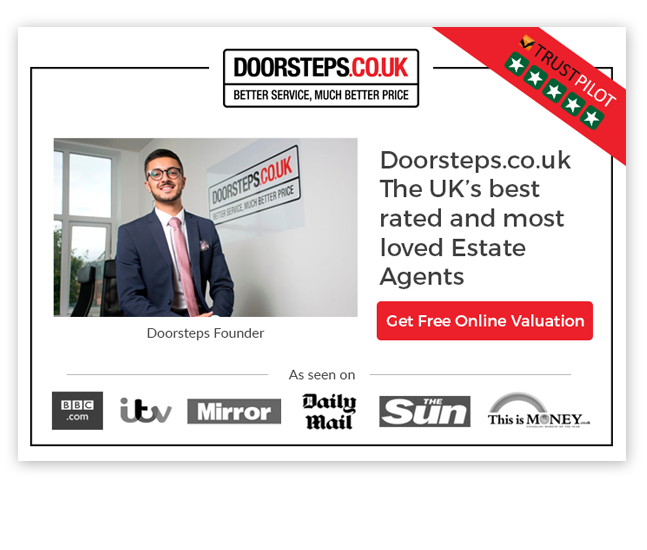 Display your ad on any four corners of the page. If you want to get users full attention, use full screen banners. 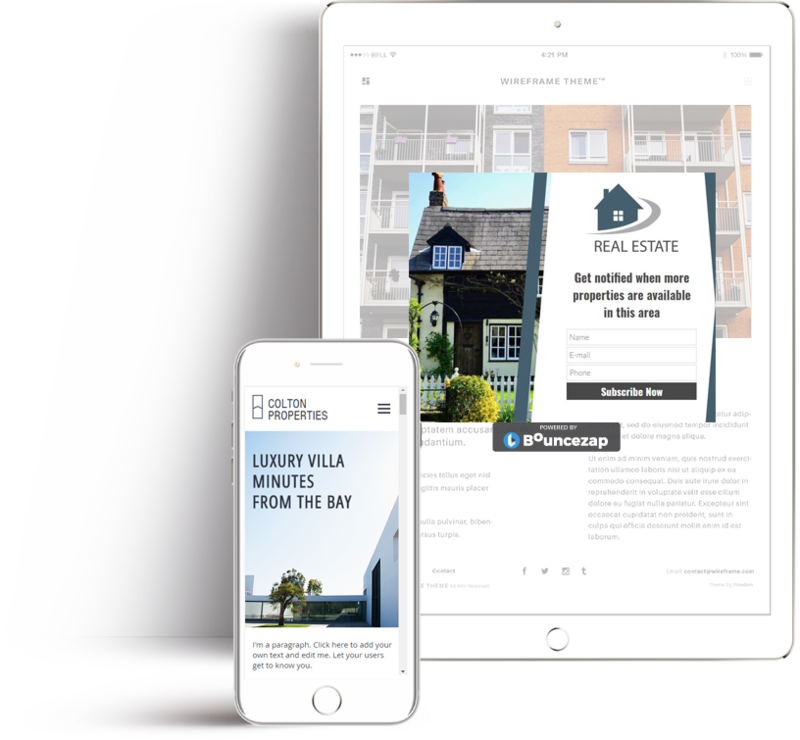 For short promotions, you can place rectangular ads on top or bottom of the main content. 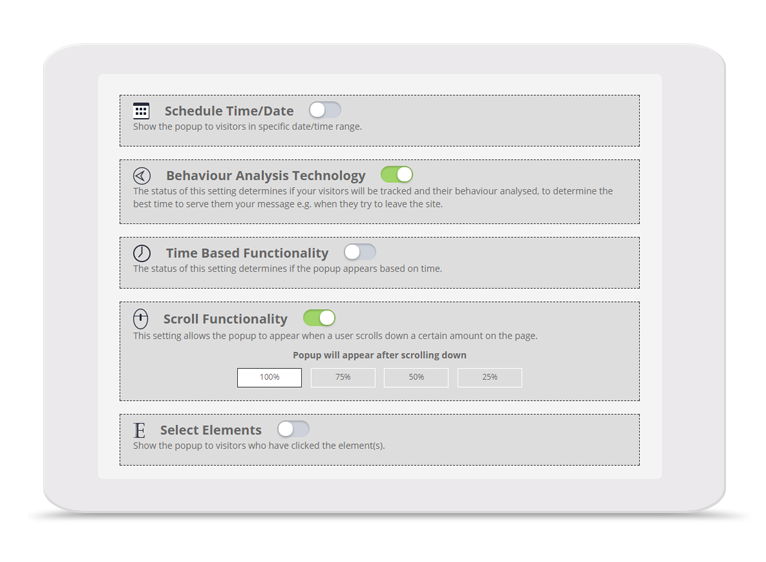 Use Bouncezap features to your advantage and increase conversion. 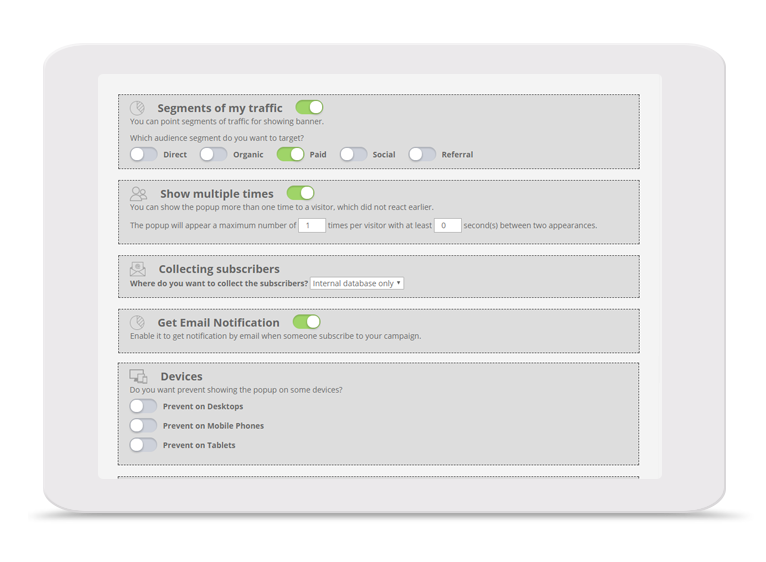 Point segments of traffic for showing banner and target audience.